Saturday and Sunday mornings in February, young gallery-goers get to explore how the human form is used in modern and contemporary art during the Tours for Fours program. 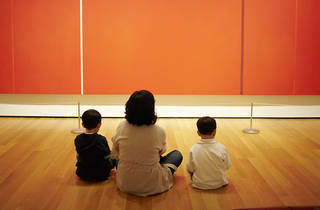 Each month, kids can enjoy a new theme and discuss their discoveries with a MoMA educator. Grab tickets at the reception desk in the Lewish B. and Dorothy Cullman Education and Research Building (4 W 54th St). Age 4.